In the world of index funds and exchange-traded funds, Vanguard is often viewed as the low-cost leader, but plenty of other fund issuers are staking their claims to be friendly to investors when it comes to low fees. When it comes to sector ETFs, Fidelity is the low-cost leader. In fact, Fidelity’s lineup of 11 sector ETFs feature the lowest fees of any group of sector ETFs. Yes, even cheaper than Vanguard’s sector ETFs. Each of Fidelity’s sector ETFs, one for each of the 11 sectors represented in the S&P 500, cost 0.084% per year, or $8.40 on a $10,000 investment. Data confirm that saving on fees has a significant impact on investors’ long-term returns. Assuming an average annual return of 4% with fees of 0.25% per year on $10,000 investment, that position will be worth $210,000 in 20 years compared to $180,000 on an investment with a 1% annual fee, according to the Securities and Exchange Commission. Investors looking to get tactical while accessing some high-flying sectors can consider the following low-fee Fidelity Sector ETFs. As was mentioned earlier, all of these ETFs charge 0.084% per year. Cost-conscious investors looking to make a long-term bet on the American consumer can consider the Fidelity MSCI Consumer Discretionary Index ETF (NYSEARCA:FDIS). 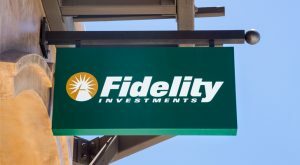 Like the other Fidelity sector ETFs, FDIS is a cap-weighted fund, and that means this fund is a viable option for capital-starved investors seeking exposure to Amazon.com, Inc. (NASDAQ:AMZN). Amazon is the largest consumer discretionary stock in the U.S. by a wide margin, a status reflected in FDIS. This Fidelity ETF allocates 12.1% of its weight to shares of Amazon, more than double the ETF’s weight to Comcast Corporation (NASDAQ:CMCSA), the ETF’s second-largest holding. Four members of the Dow Jones Industrial Average, including Home Depot Inc (NYSE:HD) and Walt Disney Co (NYSE:DIS), are found among the top 10 holdings in FDIS. Risks investors need to consider with this Fidelity ETF include the consumer discretionary sector being overvalued relative to the S&P 500 and the potential for a surprise sell-off in shares of Amazon. FDIS is up nearly 11% year-to-date. After sagging along with rival healthcare ETFs last year, the Fidelity MSCI Health Care Index ETF (NYSEARCA:FHLC) is rebounding this year with a gain of 13.9%. 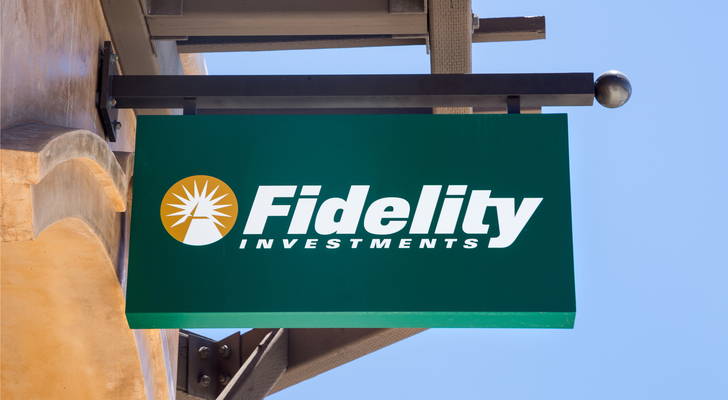 Fidelity’s suite of sector ETFs debuted about three and a half years ago, and over that period, FHLC has become one of the largest members of that, as highlighted by its $739.4 million in assets under management. FHLC follows the cap-weighted MSCI USA IMI Health Care Index. Like comparable healthcare indexes, FHLC’s benchmark has its largest allocation to pharmaceutical stocks. Growth investors need not fear, because this Fidelity ETF also devotes more than 21% of its weight to biotechnology and another 20.5% to medical equipment makers. Medical equipment stocks have been the best-performing group in the broader healthcare sector dating back to the start of 2016. FHLC holds 345 stocks, giving it a deeper lineup than some of its rivals. Top 10 holding in this Fidelity ETF include Johnson & Johnson (NYSE:JNJ) and Amgen, Inc. (NASDAQ:AMGN). There are more than 20 consumer staples ETFs trading in the U.S. and the Fidelity MSCI Consumer Staples Index ETF (NYSEARCA:FSTA) is one of the more prosaic in the lot. That is not a knock on this Fidelity sector ETF. FSTA is up more than 9% year-to-date and lays claim to being the cheapest consumer staples ETF. With investors recently fleeing technology stocks and ETFs, the consumer staples sector could pick up some of that slack as investors look for more conservative destinations. Home to over $315 million in assets under management, FSTA is one of the more successful Fidelity sector ETFs. This sector ETF holds 103 stocks, but its roster tilts heavily toward large- and mega-cap staples names, including venerable fare such as Dow Jones components Procter & Gamble Co (NYSE:PG) and The Coca-Cola Co (NYSE:KO). All of the Fidelity ETFs mentioned here can be traded commission-free by Fidelity brokerage clients. Article printed from InvestorPlace Media, https://investorplace.com/2017/06/cheap-fidelity-sector-etfs-fdis-fhlc-fsta/.